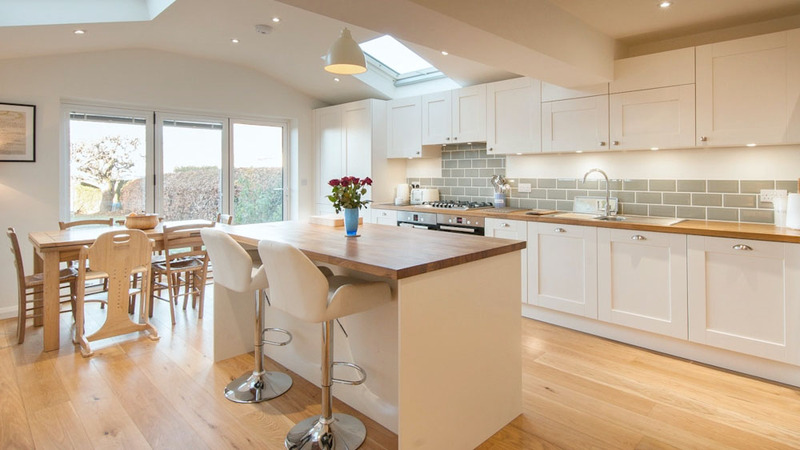 Our clients wanted a large open plan kitchen for their family to enjoy spending quality time together. 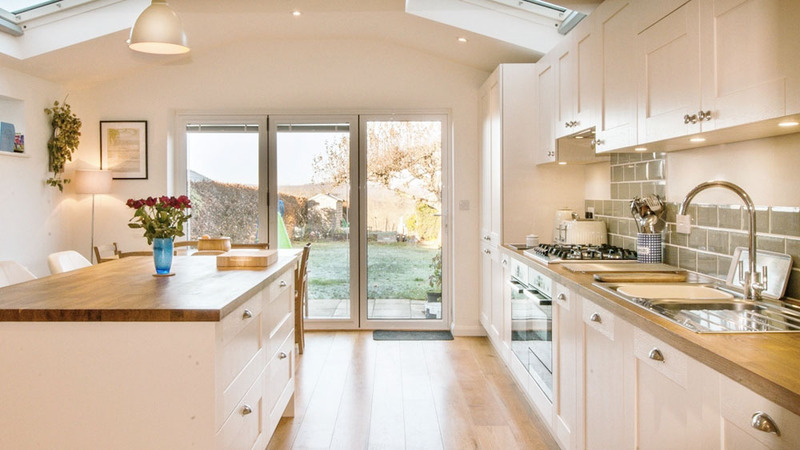 To do this they added a single story extension onto the original kitchen doubling the size. They wanted a shaker style kitchen with wooden worktops, a dining area, an island with a breakfast bar, and a snug area near there wood burner. The original fridge freezer was kept, but all other kitchen appliances were to be integrated. All of the appliances were to be housed in the main furniture run, including a gas hob, dishwasher, combi-microwave oven, main oven and pull out bins. 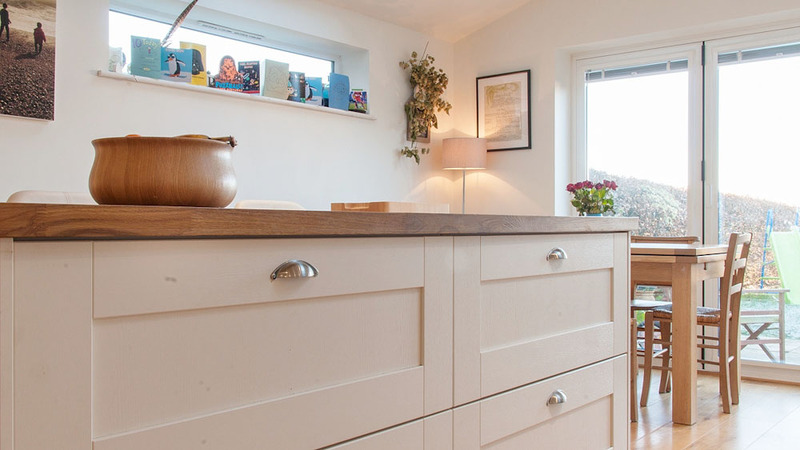 The overall effect is a stunning shaker kitchen in a beautiful light and airy room with plenty of storage and space. 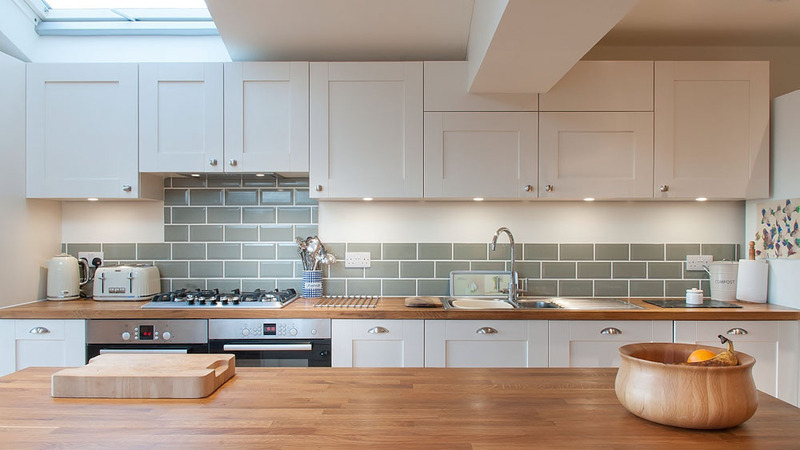 The green metro tiles really make this kitchen work by adding a splash of colour and layer of texture. The wooden work tops further enhance this space as the wood adds warmth to the room. 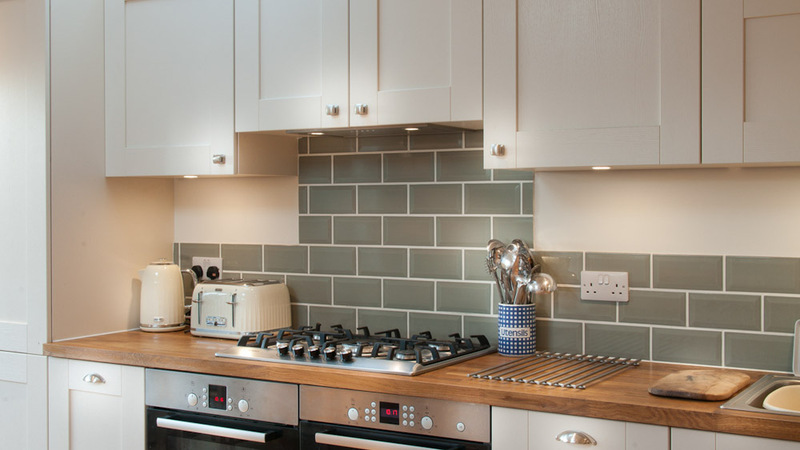 The kitchen works very well practically as well as socially; it makes the space a highly useable area for cooking, socialising and spending time as a family. The bi-fold doors leading to the garden and ceiling windows really brighten up this part of the house, painting the room with natural light. At Black Rok we mostly specialise in modern kitchen design and over the last year we have been extending our portfolio with more shaker-style designs. This was a great kitchen for us to be involved with, the new room is spacious and adaptable and a lovely place to be.